How to find where the big players are investing in the market? There are many investors who keep an eagle-eye on where the big players are investing in the market their stock portfolio. It makes complete sense to track where the big players are investing in the market as these players have already proved their expertise in stock picking through their success in the share market and created huge wealth for themselves. Moreover, a common investor cannot match the mastery, opportunity, resources, and expertise available to these investors. Therefore, a retail investor can avail the maximum benefit of their expertise by keeping an eye on where the big players are investing in the market. NOTE: Tracking the portfolio of successful investors is a good idea. However, investing blindly in the stocks where these big players are investing, might get you in a trouble. Please do a proper study of the stocks before investing. After all, even these big players are humans and are capable of making mistakes. 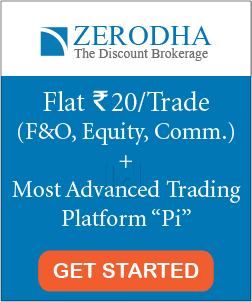 How to track where the big players are investing in the market? 1. 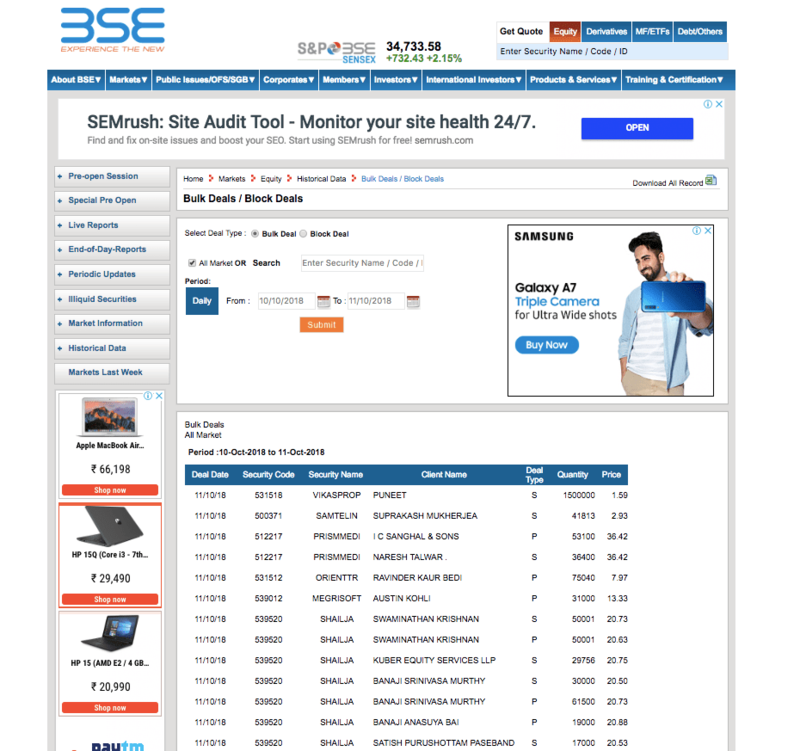 Check the block/bulk deals list: This list of block and bulk deals are publicly disclosed on NSE/BSE website daily. 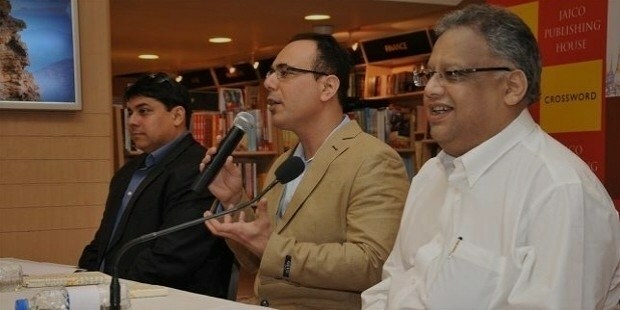 In a block deal, either the minimum number of 5 lakh shares or an investment amount of Rs 5 crores should be executed. On the other hand, a bulk deal happens when the total quantity of shares bought or sold is greater than 0.5% of the total number of shares of a listed company. Read more here. 2. 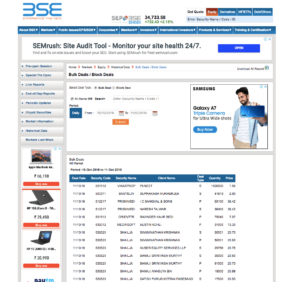 Check the shareholding pattern of the company on NSE/BSE Website: Every company discloses the names of those investors who are holding 1% or greater of the total number of shares. 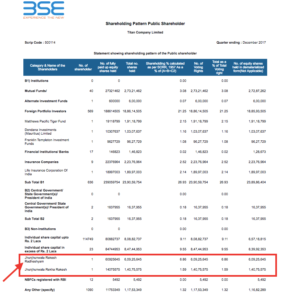 You can check the shareholding pattern to find the name of big players in any stock. 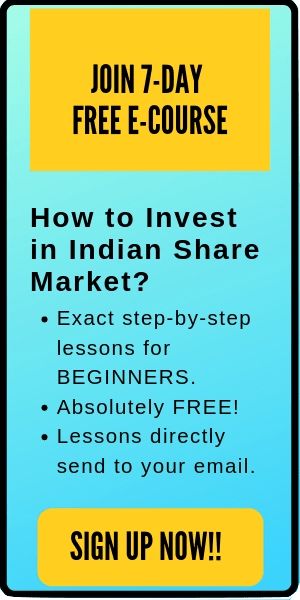 You can find the shareholding pattern of a company on the company’s website, NSE/BSE website or financial websites like money control, investing etc. 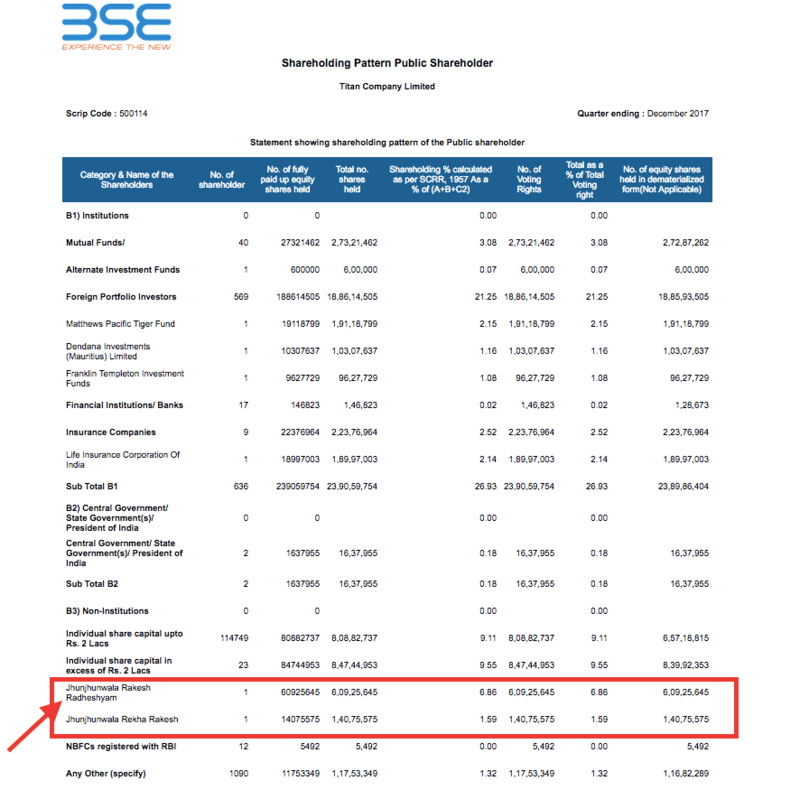 For example, here’s the publicly available shareholding pattern for TITAN COMPANY. We all know who holds a large chunk of this stock (RAKESH JHUNJHUNWALA)!! 3. 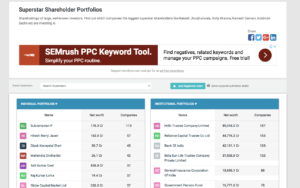 Besides, there are many financial websites which track the latest portfolio of these big players. For example TRENDLYNE- Superstar Large Shareholder Portfolios. 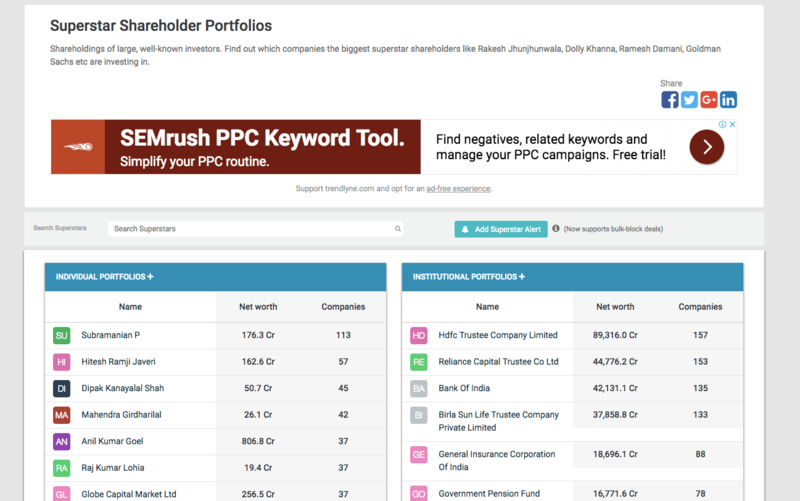 You can follow these financial websites to get the names of the big players in any stock. Also read: Is Copycat Investing Hurting Your Portfolio? Very good article Bro, Keep updating, My Best Wishes for Your Success ! I still remember the date(24th Jan’2018), it was a news that RJ and Dolly Khanna has increased their holding in Prakash Industry and I bough the stocks(for long term investment) at price of Rs. 314 and now after ten months it is trading @ 105 – that one was my mistake and I got trapped in trouble. I’ve question – Many website provides the figure of that how much FII/FIP has bought or sold for particular day/week/month but I want to know in which sector or script they have invested or sold.